Small bedrooms can make a big impression with the right design ideas and inspiration. Today we’re going to show you 12 compact yet beautiful sleeping spaces, which will undoubtedly spur you on to create yours. These small but sweet spaces are cosy, charming and bursting with allure, while still offering sanctuary, tranquility and solace from the rest of the house. 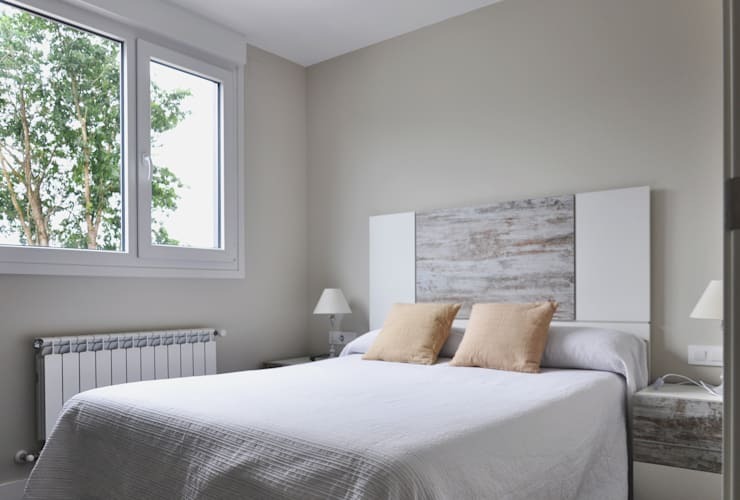 Whether you live in a studio apartment, or are looking to redecorate your attic guest space, we’re guaranteed you’ll find something you like! Interested? Read on below and start planning your bedroom makeover today! Straight out of a fairy tale, this gorgeous bedroom boasts an alluring amber glow and a seriously enchanting ambience! Simple and effective this small room is cosy and sweet, with built-in cupboards that maximise practicality and the functionality of the sleeping quarters. Sometimes simple is best, and this room shows us why. Replete with charming touches and charismatic accessories, the space is age-defiant and perfectly white to enhance spaciousness. 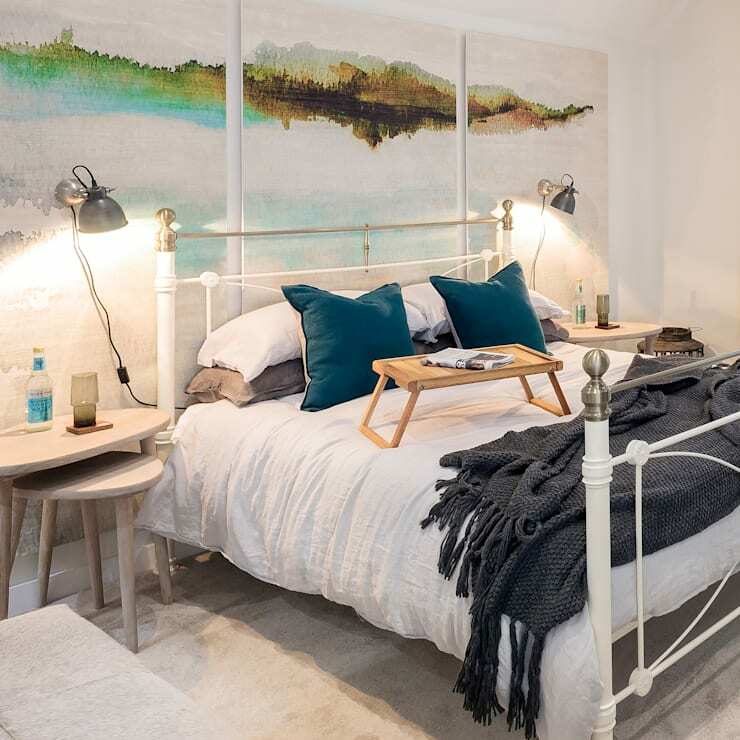 Panelled murals help this compact bedroom to feel eclectic and energetic, while the soothing hues ensure a sense of tranquility and the accessories evoke luxury. 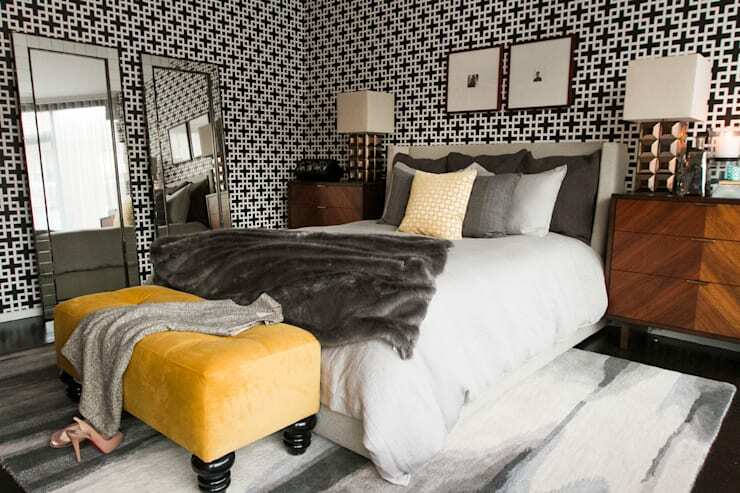 Dramatic and bold, this bedroom certainly makes a statement. A little retro, with a Mad Men aesthetic, each item is carefully curated to suit the symmetrical and timeless design. 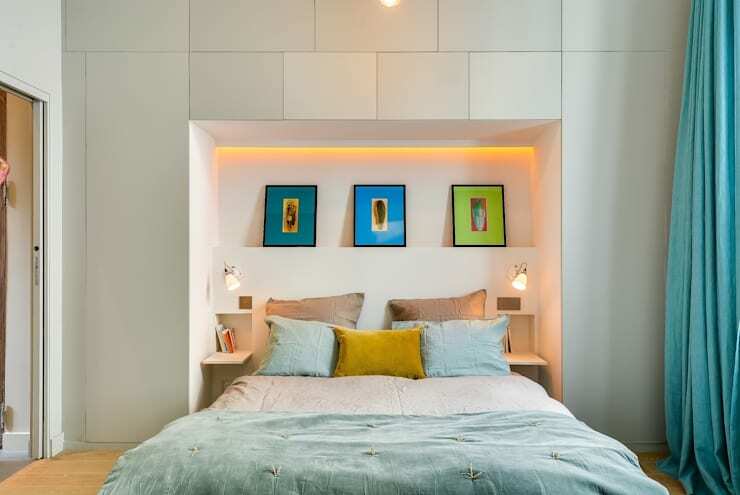 In this small bedroom bright bursts of neon-citrus hues add verve and vivacity to the overall atmosphere. We particularly like the whitewashed flooring, which imparts a Nordic aura and aesthetic. Evoking the essence of space-like serenity, our next bedroom is sure to catch your eye. 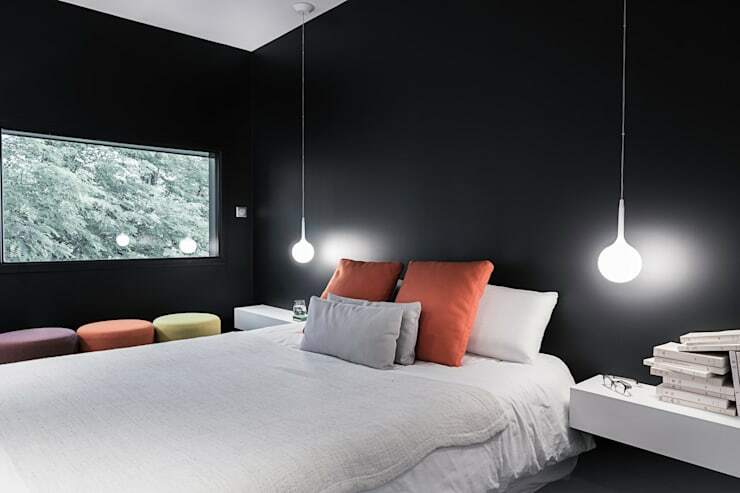 The black walls are contrasted with white bedding, while the suspended side lamps illuminate like shining stars within the space. Another sweet and enchanting space is this design situated in Turin, Italy. Boasting an all-white colour scheme to maximise spaciousness, the room also includes colourful floral patterns and serene blue hues to add contrast. The designers of this neat space have worked tirelessly to ensure the practicality of the compact space. 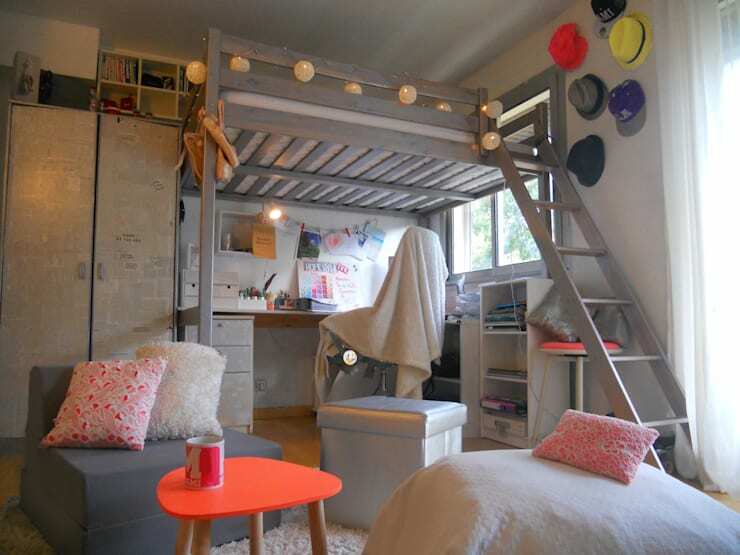 With a loft bed and plenty of space to relax and hang out, we adore this room for children and adults alike. This bedroom cave is situated high up in a cut-out of the room. Here it's protected from the rest of the home, with a small draw that pulls out to reveal a handy step. Large and sumptuous, this is the ideal adult hideaway! Sometimes the basics are all that is needed to create a space that's both welcoming and warm. 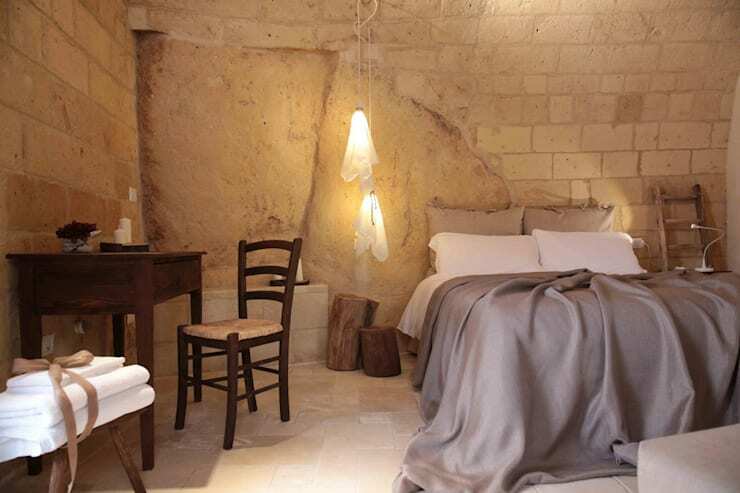 In these sleeping quarters the bed is adorned with white linen and the furniture is a rustic coastal timber. 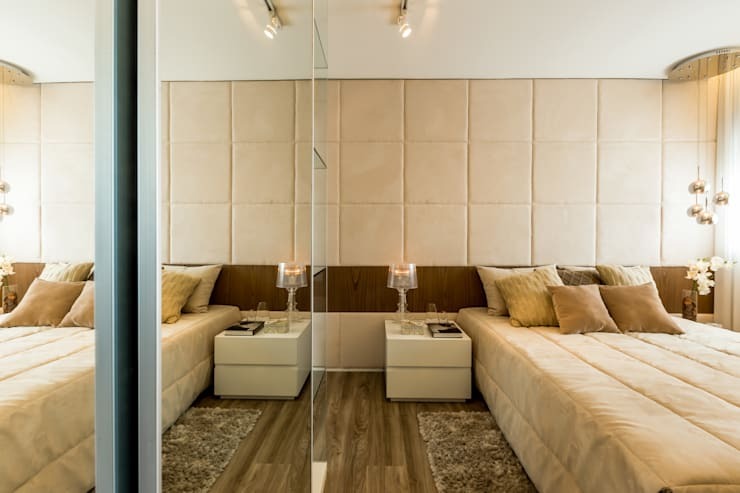 Last up we take a peek inside a room that is most certainly small, but has maximised the sense of space by incorporating large mirrored panels to the built-in robes. These, along with a padded bed head/wall ensure the room is easily a sweet and welcoming place. Which bedroom suits your aesthetic sensibilities and taste? Add the number below!